Life saving critical care equipment such as incubators, kidney dialysis, respiratory and operating theatre equipment needs to be functioning 24/7. Patient records need to be accessed and administered. Appointments need to be setup. Security, lighting and information systems need to be maintained. Protecting the integrity of PC’s, IT networks, server rooms, communication rooms, call & control centres and datacentres that are used to facilitate these services is therefore essential. Our range of UPS, Generators & Emergency Lighting products are ideally suited to healthcare applications and we deliver to and offer support to many of the largest NHS Trusts in the UK. Below are a selection of products suitable for healthcare applications. Excellent, reliable kit, we don’t give the units a second though, but they have never let us down and seem to be good value for money too. Great service, friendly team, always helpful, service done on time and very clear reports. Great expertise in their field. We have used KUP for considerable time to maintain a number of systems and always found KUP to be very competent. Designed to fit industry-standard-sized computer racks and cabinets (19" wide). 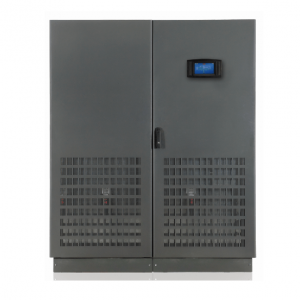 Understanding the total kVA requirement of a critical load is a key part of establishing a UPS’ true sizing requirement. For more information see kVA calculator and guide to choosing a UPS.